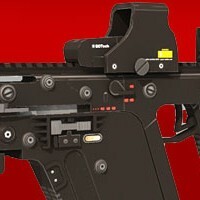 KRISS Super V is the lastest technology of submachine gun design. Its operating systems is a all new design in more than 120 years of firearm age. Although it's firing .45 ACP rounds, it has very low recoil even at automatic mode. 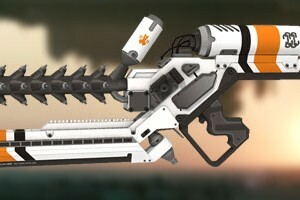 The system claims to compensate for recoil by utilizing moving parts that travel down into a recess behind the magazine. This means they travel vertically and forces encountered when they reach the end of their travel act downward, reducing muzzle rise. The barrel is also in-line with the shooter's shoulder as in the M16 rifle and German FG42 but also in line with the shooter's hand. Combined, these factors are advertised to create less felt-recoil and muzzle climb. Familiar with this? 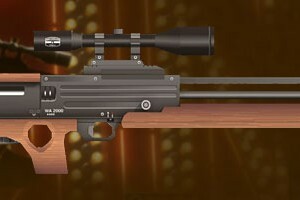 This rifle model is taken from one of the best games ever made, HITMAN. The semi-automatic Walther WA 2000 bullpup sniper rifle was designed in the 1970s by the Carl Walther GmbH Sportwaffen company. Originally built from the ground up as an Olympic target rifle it became popular as a Sniper Rifle. The bullpup design was chosen because it would allow a standard length (for a sniper rifle) barrel to be used whilst the overall length would be shorter than a conventional rifle. 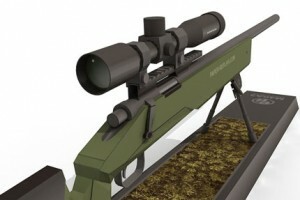 The M40 is a bolt-action sniper rifle used by the United States Marine Corps. It has had three variants — the M40, the M40A1 and the M40A3. The M40 was introduced in 1966. The changeover to the A1 model was completed in the 1970s, and the A3 in the 2000s. Each firearm begins life as a Remington 700, and is then extensively modified by hand by USMC 2112/gunsmiths at Marine Corps Base Quantico, using components from a number of suppliers. New M40A3s are being built, and A1s are upgraded to A3s as they rotate into the armory for service and repair. The rifles have had many sub-variations in telescopic sights, and smaller user modifications.